Are you ready to return to Hogwarts and relive the magic? 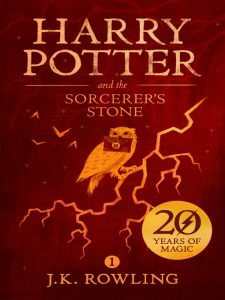 Celebrate the 20th anniversary of the first Harry Potter book with OverDrive and your library card! 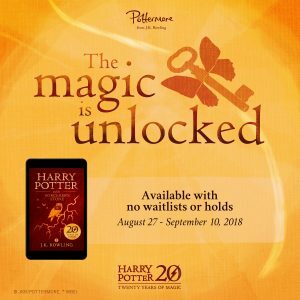 From August 27 until September 10, the eBook of Harry Potter and the Sorcerer's Stone by J.K. Rowling will be available with no waitlists or holds! Download the Libby app to read on your mobile device or visit OverDrive on a computer to begin reading. All you need is your library card!